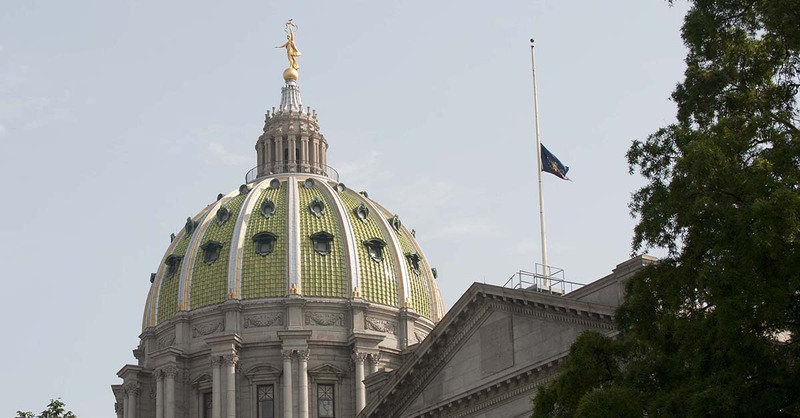 Harrisburg, PA – Governor Tom Wolf has ordered all commonwealth flags to fly at half-staff on the Capitol Complex and at all commonwealth facilities in Washington County to honor former Senator J. Barry Stout and at all commonwealth facilities in Northumberland County to honor former Representative Robert “Bob” Belfanti. Former Senator J. Barry Stout, 79, passed away on Saturday, October 29, 2016. He represented the 46th Senatorial District from 1977 to 2010 in the Pennsylvania Senate. Prior to being a member of the Senate, he represented the 48th Legislative District from 1971-1976 in the Pennsylvania House of Representatives. Former Representative Robert “Bob” Belfanti, 68, passed away on Saturday, October 29, 2016. He represented the 107th Legislative District from 1979 to 2010 in the Pennsylvania House of Representatives. Flags shall remain at half-staff until sunset on Friday, November 4, 2016.